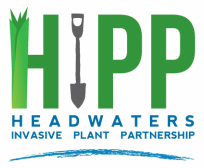 The following members of HIPP regularly use volunteers for invasive plant detection, eradication, and replacement on public and private lands. Visit their sites to learn more about the volunteer opportunities available. Consider becoming a master naturalist with your local extension office; Champaign, Ford, Iroquios, Vermilion, Livingston, DeWitt, Piatt, Coles, Cumberland, and Douglas. Their mission is to provide nature-based community service through citizen volunteers. Certified master naturalists complete 70 hours of training and are networked in with conservation-minded agencies and organizations to find suitable volunteer opportunities. Register with EDDMapS and begin reporting sightings of invasive plants today either through a smartphone app or a web browser. EDDMapS is a web-based mapping system for documenting invasive species distribution. It is fast, easy to use and doesn't require Geographic Information Systems experience. Its goal is to maximize the effectiveness and accessibility of the immense numbers of invasive species observations recorded each year. It combines data from other databases and organizations as well as volunteer observations to create a national network of invasive species distribution data which will become the foundation for a better understanding of invasive species distribution around the world. Be wise about the plants you purchase and introduce to your terrestrial or aquatic properties. Learn about the invasive plants currently in Illinois and be aware of those that are coming. Remember that one of the greatest risks to our natural habitat is non-native species because their natural pests, diseases, and foragers may not exist here to keep them in check. By choosing to plant species native to Illinois you not only avoid introducing invasives but you contribute to a healthy ecosystem. The birds, insects, wildlife, and HIPP appreciate it.